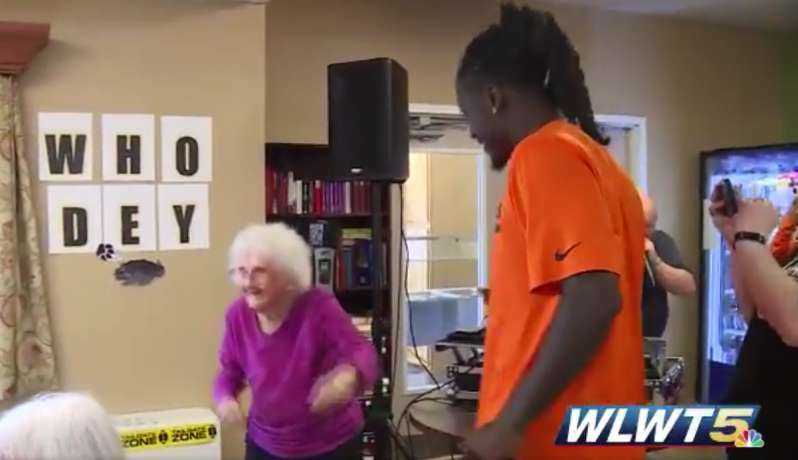 Nana Proves She Isn’t Old School In A Nursing Home Dance Battle Video That Can Make Your Day. Whoever believes that senior citizens still can’t have their freak on has obviously not met Irma Shafer. Irma may be a whopping 95 years old, but she sure knows how to boogie down! 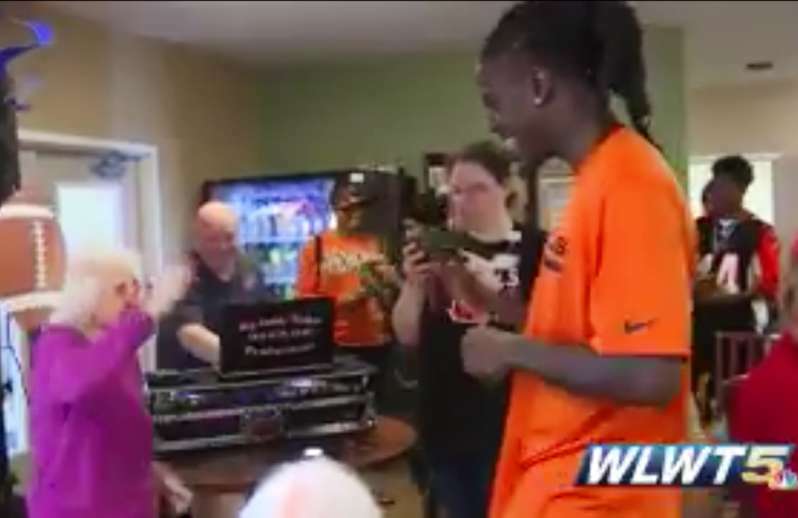 Bengals cornerback, Dre Kirkpatrick, hosted a little party at Loveland Health Care Nursing and Rehab Center a few days ago. Bringing along some games, a DJ, and other treats for the residents of the home, it was geared to be a fun-filled day for all present. However, Kirkpatrick did not know just how much fun he was in for. Sometime into the activities, the American football player found himself dancing with Shafer. The DJ was playing a few of Dr. Dre’s old hits, and things went up a notch. Spontaneously, amazing Irma began showing all the stuff she was made of. She was so engrossed in her killer moves that she did not notice that Kirkpatrick was trying to give her a high five. Things got so intense that she did not stop when suggestions were made that she was getting tired. There was just no stopping her! Tweets following the video post had fans naming her the winner of the dance battle. Irma Shafer brought her A-game, and she walked away with the imaginary trophy. Kirkpatrick turned out to be a gracious loser. The smile on her face as she swayed eagerly to the music was nothing short of glorious. If you had a really long day, or a terrible run-in with someone, then a dose of this video can get you relaxed. What is really heart-warming is that gestures like this at the nursing home are a constant with Dre Kirkpatrick. Just a while ago, he treated some elementary and middle school kids to a shopping trip. If that does not show a big heart, then what does?